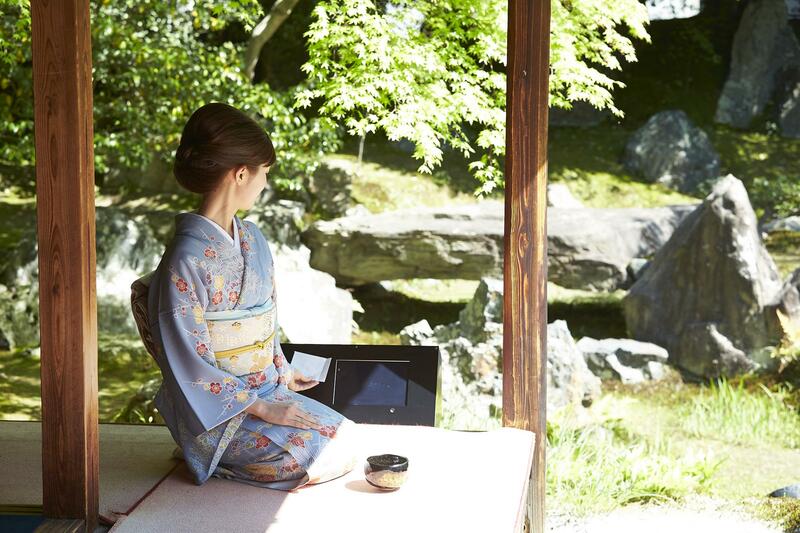 Kyoto, Japan - Panasonic Corporation, NTT Communications Corporation ("NTT Communications") and Dai Nippon Printing Co., Ltd. ("DNP") are conducting a demonstration of their camera sharing service PaN ("Photo and Network") with the cooperation of two temples in Kyoto, Japan: Kenninji, the oldest zen temple in Kyoto, and Entokuin, known for its gardens. 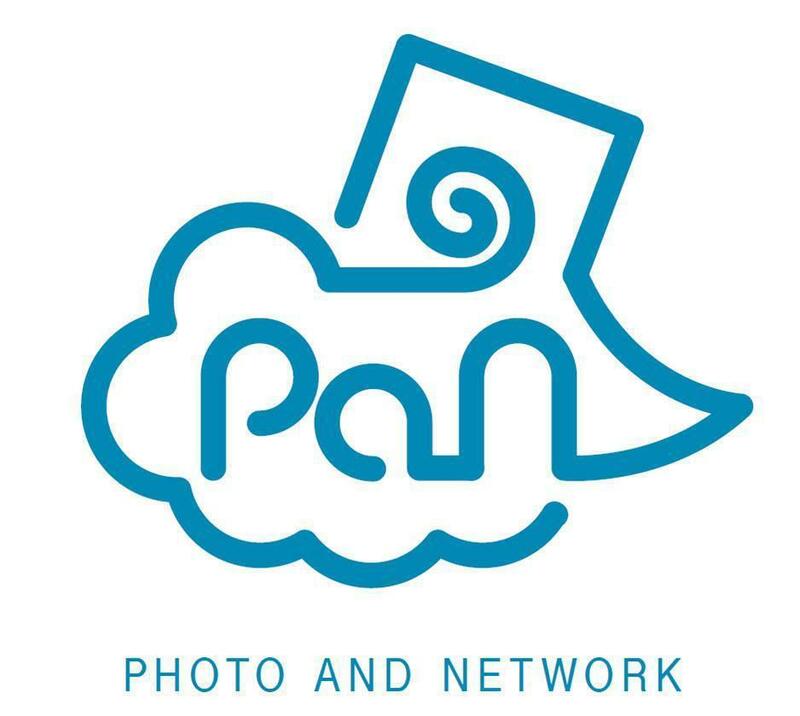 PaN is a new service that allows visitors to share pre-installed cameras arranged at tourist destinations, amusement parks, and event venues to take their own souvenir photos. 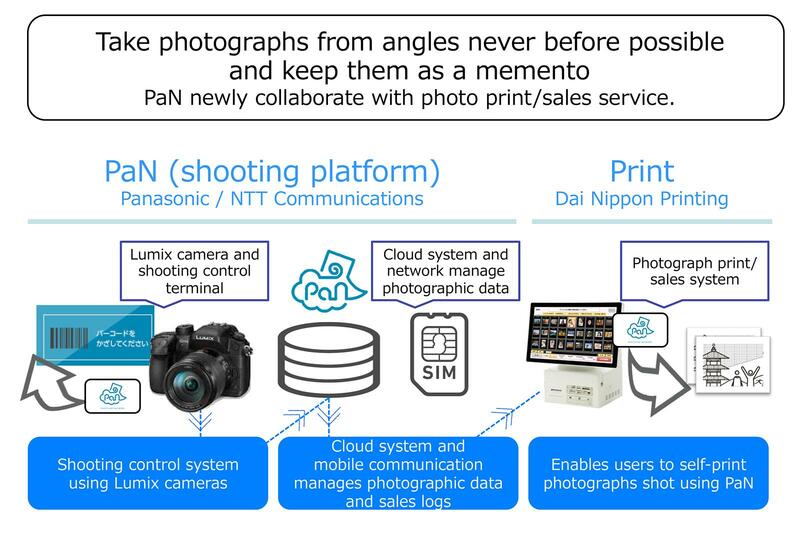 This service has been brought to life by the combination of Panasonic's photo-shooting technology and NTT Communications' cloud-network technology. The photographs are stored automatically online in the cloud and can be downloaded easily to a user's computer or smartphone. 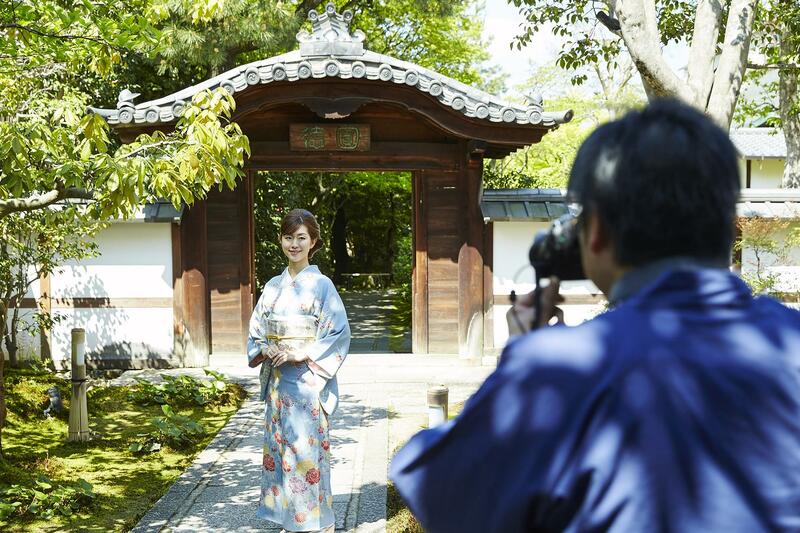 Using photo vouchers distributed at the entrance of Kenninji and Entokuin temples, visitors can take selfies using PaN cameras arranged at various photo spots on the grounds. One card gives access to all cameras within a temple. 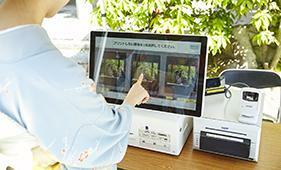 Visitors can purchase prints and/or data of their photographs before they leave. 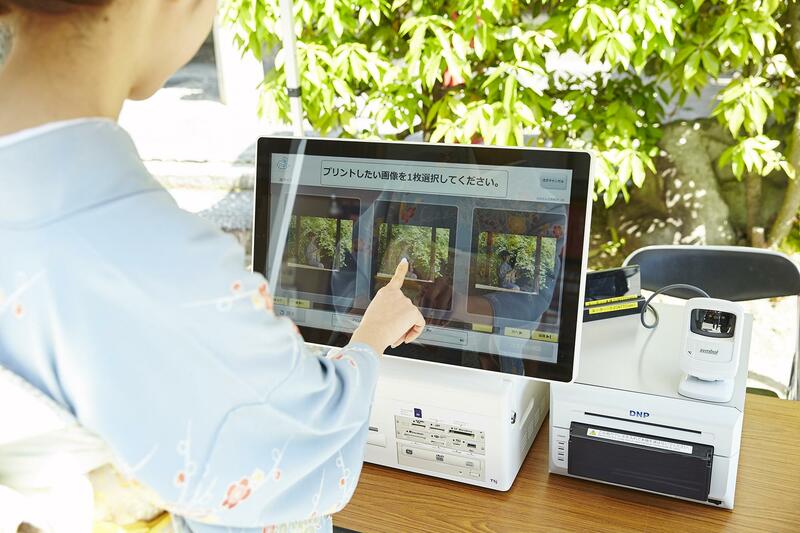 The demonstration includes DNP's photo print system so that photographs shot with the PaN cameras will not only be stored in the cloud but may also be printed at the temples as mementos. 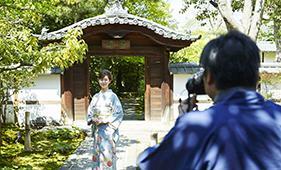 This service allows visitors to take unique photographs not typically available. 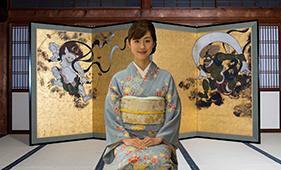 For example, certain photo spots feature special camera angles on the temple grounds, and one spot offers a composite image using a green screen for an added experience. 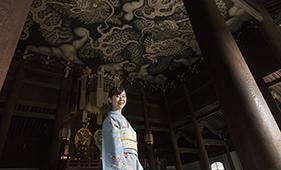 Organizing this demonstration at Kenninji and Entokuin temples simultaneously will direct people from one temple to the other to enhance their sightseeing experience. *1: If multiple photographs are taken at a single photo spot, visitors will be able to download data for all shots taken at the same spot. 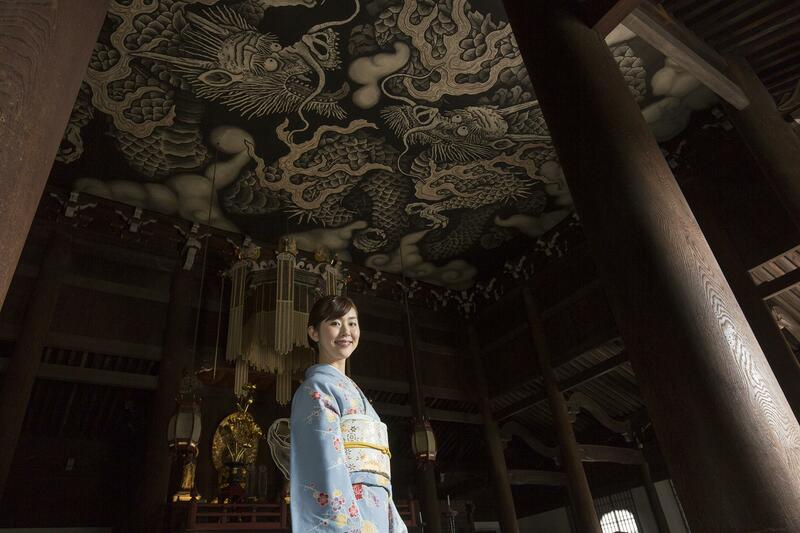 *2: All data of all photos shot within a temple. 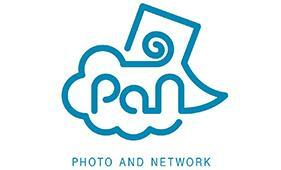 *PaN: Stands for Photo and Network. 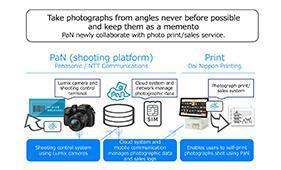 Combining Panasonic's photo technology and NTT Communications' cloud/network technologies, the PaN brings to life an all-new photo experience and cloud storage service. *NOTE: Please refrain from calling temples about this service. Entokuin North Study Room - Photographs shot using "PaN"
Kenninji Entrance - Photographs shot using "PaN"
Kenninji Dharma Hall - Photographs shot using "PaN"
Kenninji Grand Study Room - Photographs shot using "PaN"